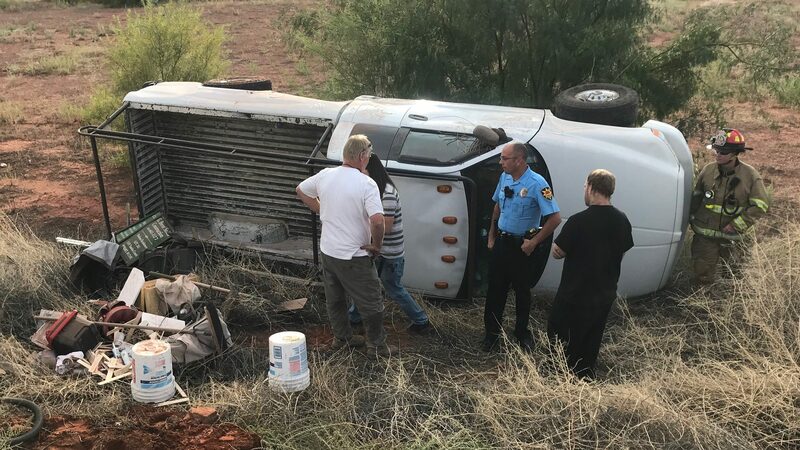 ST. GEORGE — After a pickup truck crashed and overturned in St. George Wednesday, a group of bystanders helped pull the driver out before emergency responders arrived. Randy Demke was one of the people who helped lift the man in his mid to late 50s out of the truck, he said. 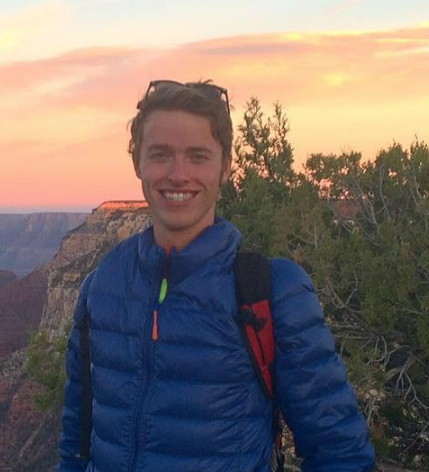 Demke was driving his car near the intersection of Dixie Downs Road and Snow Canyon Parkway at about 5 p.m. when he heard tire screeches and what sounded like a loud impact. He then saw a “cloud of dust” and a pickup truck rolling over off the edge of the road and down a slope. Demke said he pulled over on the side of the road, along with five or six others, and went down to the truck to see if the driver needed any help. “The truck landed with the passenger door up, so a few of us had gotten up and opened up the door,” Demke said. One of the people at the scene jumped into the cab to help release the driver from his seat belt, he said, before the others were able to help him out of the truck through the passenger door. It didn’t seem like the man had sustained major injuries from the rollover, Demke said. After helping the man back up the slope to the side of the roadway, emergency responders arrived to assess the man’s injuries. Demke said that seeing people willing to pull over and jump out of their cars to help the man was encouraging. Demke does not know what caused the crash or if the man was transported to the hospital. 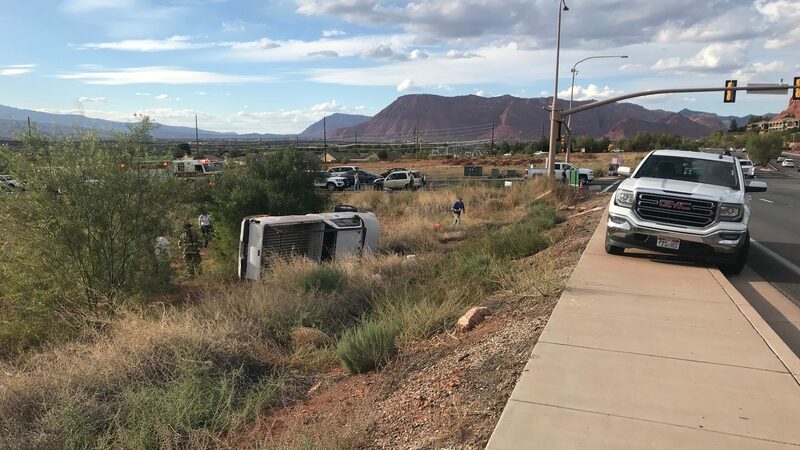 St. George Police did not immediately respond to St. George News’ request for comment on the crash. What a scary time to be alive. Alive is a good thing. That is my truck. I was headed east on snow canyon parkway and a car turned left into the side of my truck. Spun me 180 and then I rolled off the edge. Light was green. Truly amazed and humbled by the help from bystanders. Somebody was quickly in front of the windshield checking on me. Driver door was up and a couple guys held door open and somebody else climbed in the cab and helped get my weight off the seat belt latch and un buckled me. He helped me out while couple more guys lifted from outside. Then others helped me climb off the truck. One guy might have a good bruise on his arm getting it hit into my lumber rack while helping me. Hard to notice everybody and thank them during the chaos so I hope they all see this. Thank you very much for stopping to help. What goes around comes around. Good will come to you and we will see what comes around to the other driver. Had that truck for 15 years and with 434k miles and obviously used for work was in perfect mechanical shape. Bummer. Thanks for the update, Phil, and glad you weren’t injured! Also good to see neighbors of St George community helping out. I still think this area has much more courtesy amongst drivers than about anywhere I’ve been… that said there are a lot of out of towners (did I say Vegas!? or CA of course) who might water it down some but overall, a great place when you need a hand. My personal experience was struggling with a flat, and a younger guy pulled over and insisted on handling it for me. I’ve done the same for ladies, but I’m a guy so was surprised. Wow, glad you’re okay, but so sorry this happened! If they catch the hit and run driver hopefully they’ll get more than a “citation”. I’m so happy you wrote your comment and are okay. This community is the best, I agree. People are always there if needed. The article wasn’t clear about what happened with the other vehicle, was it a hit and run? I hope someone was able to give a description and whoever hit you gets found. I’m so sorry you had to go through all this!